The Blob Site » Blog Archive » Time To Vote For THE BLOB And For BLOBFEST At The Rondo Awards! Time To Vote For THE BLOB And For BLOBFEST At The Rondo Awards! It’s time to vote for the Rondo Awards, and that means it’s time to vote for The Blob! This year, Criterion Collection’s recent blu-ray release of the film, featuring a brand new 4K digital restoration is one of the films nominated in the “Best Classic Horror DVD/Blu-Ray” category. 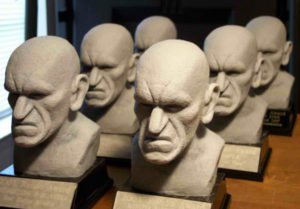 Named after 1930s and 40s horror movie actor Rondo Hatton, the Rondos are a fan-voted award honoring “significant achievement in the genre during the year.” Think of them as the classic horror film equivalent of the People’s Choice Awards. BlobFest has been nominated in these two categories in the past but let’s make this the year that they win! You can get a ballot to vote by email for the Rondos by visiting their website here! This entry was posted on Monday, February 3rd, 2014 at 9:00 am	and is filed under News. You can follow any responses to this entry through the RSS 2.0 feed. You can leave a response, or trackback from your own site. Maxblog | Design: Online-Kredit of EU Auto. Coding: Fertighaus Preise of Ratenkredit günstig.